Sprintcars Queensland posted Thursday March 15, 2018. Forget eggs and bunnies and hot cross buns, Easter in Queensland (and northern New South Wales) is all about Sprintcar racing and, as such, the tradition will continue in 2018 with the annual Easter Triple Challenge to deliver three consecutive nights of V8 action across three different venues. This veritable feast of Easter Sprintcar goodness will kick off at Toowoombaâ€™s Hi-Tec Oils Raceway on Good Friday (March 30), with round two to be decided at Audeck Patios Archerfield Speedway on Saturday, March 31. 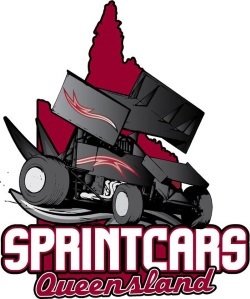 The series finale on Sunday evening (April 1) will once again be contested across the border in New South Wales in what will be the only Sprintcar event of the season at Castrol Edge Lismore Speedway. With excellent prizemoney on offer over the weekend, teams are expected to converge from interstate to take on the Queensland stars on three distinctly different tracks. From the high banks of Toowoomba, to the tighter confines of Queenslandâ€™s premier Sprintcar venue at Archerfield, to the circular showground layout at Lismore, the Easter Triple Challenge is a true test of man and machine as crews scramble to find even the most miniscule advantage in a bid to give their driver the very best opportunity for success at all three rounds. Each night of competition will kick off with time trials as cars race against the clock in groups of four, seeking to record the quickest lap and score maximum points. Two rounds of heats will follow with an 8-car inversion in each heat race, with points from time trials and the heats combined to determine the starting order for the main events. The top 16 point scorers will qualify directly into the 40-lap feature event, with the remaining drivers to contest the B Main and/or C Main depending on their overall position at the completion of the heats. The drivers who qualify in positions 1 to 8 will contest the Pole Shootout over three rounds, with the winner of the Gold Shootout securing pole position in the big show. There is $4000 on offer to the winner of the feature event at each round of the Easter Triple Challenge and, with another $2500 for the overall series champion, anybody good enough to achieve a clean sweep across all three nights of racing will walk away with a cool $14 500. Of course, given the depth of talent in Queensland alone, it would take a mighty effort for anybody to achieve such a feat, but it will make for one hell of a spectacle to watch them try. This is a fantastic opportunity for interstate teams to test themselves at different tracks against competitors who they may not otherwise get to an opportunity to compete against, while securing valuable exposure for their sponsors and hopefully picking up some prizemoney and some new fans along the way. Any success achieved over the weekend will certainly be hard-earned though as three nights of racing back-to-back will require talent, tenacity, teamwork and maybe just a little bit of luck. Competitors interested in taking part in the 2018 Easter Triple Challenge should email Sprintcars Queensland at secretary@sprintcarsqueensland.com.au for a Nomination Pack.